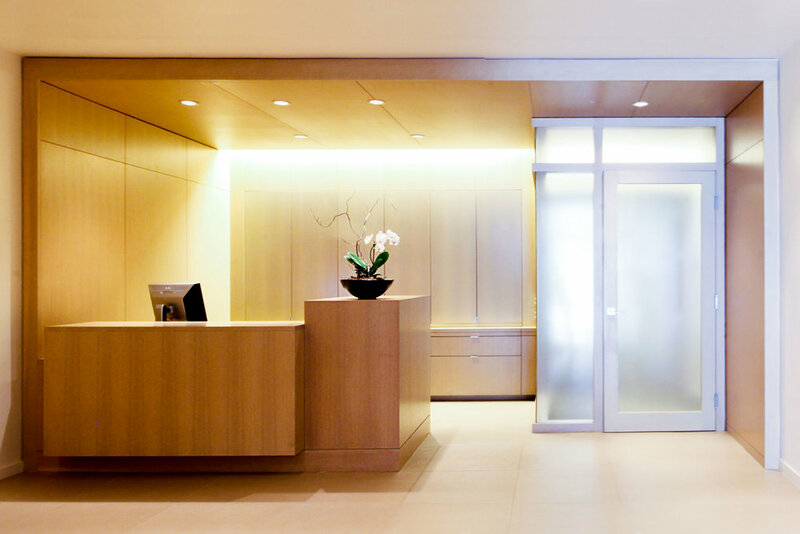 This dynamic business needed a lobby that matched their high-tech imaging production laboratory's character, yet they wanted it to be warm and comfortable. The new design simplified, organized, and refined the space. By placing the desk at the back of the space the waiting area expanded and allows the prominent display of their high quality reproduction work. The final product is clean and graceful. 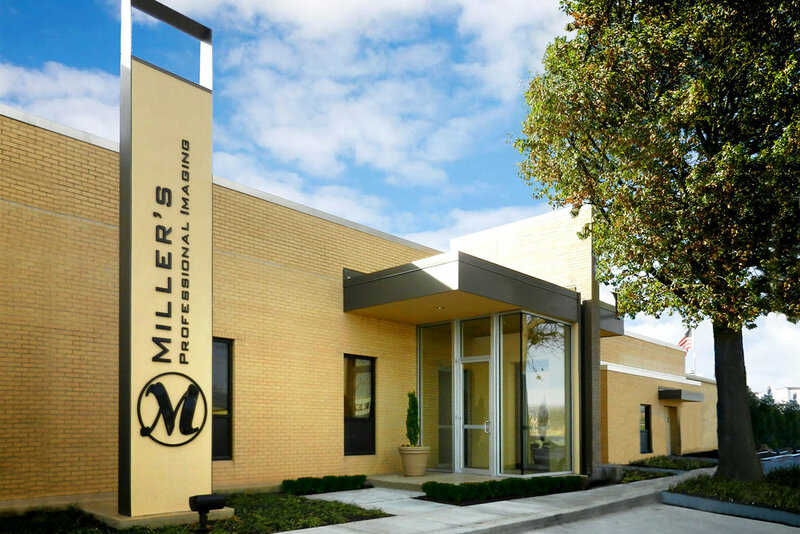 The success of this project led to a series of additions and renovation projects throughout their facility.